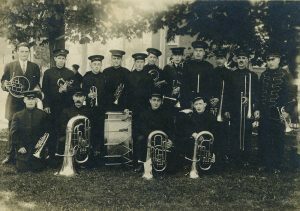 During times of war, the Aurora Armoury and surrounding Town Park played an active role in Canada’s national defence network. On February 15, 1915, the town gathered at the Armoury to bid farewell to privates Thomas Crosskill, William Stone and Chas. 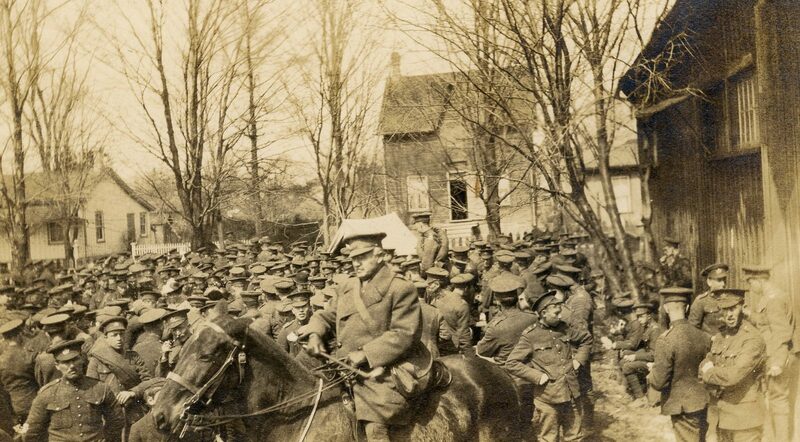 Lancely who were leaving for the front with the Second Canadian Contingent. The Citizen Band led the large group in procession from Town Park to the local arena a few blocks away where the boys were surrounded by their family and friends. Private Crosskill had worked at Sisman Shoe Company in Aurora before enlisting, and fought in battles at Ypres, the Somme, and Vimy Ridge. He was tragically killed in action on April 23, 1918. 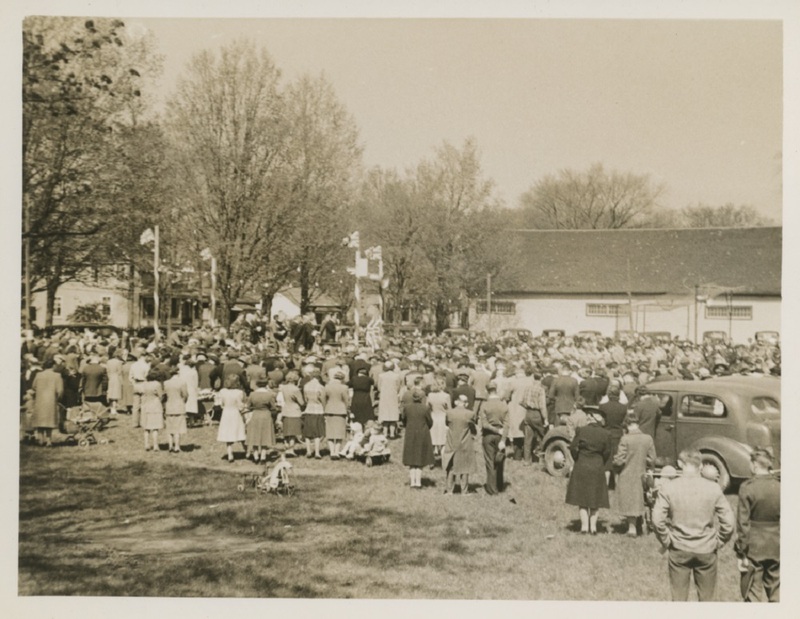 After the war, Town Park was the chosen site for the official York County Welcome for the Returned Soldiers in July, 1919. The day featured multiple sporting events and three bands to entertain the estimated 8,000 people waiting to welcome home their loved ones. Joyous emotion and relief fell over Aurora again when Germany surrendered to the allies on May 7th, 1945. Factories, businesses, and schools closed and Aurorans paraded through the Town, which was quickly decorated with banners, flags, and bunting. By the afternoon, a stage with loud speakers had been set up in Town Park. 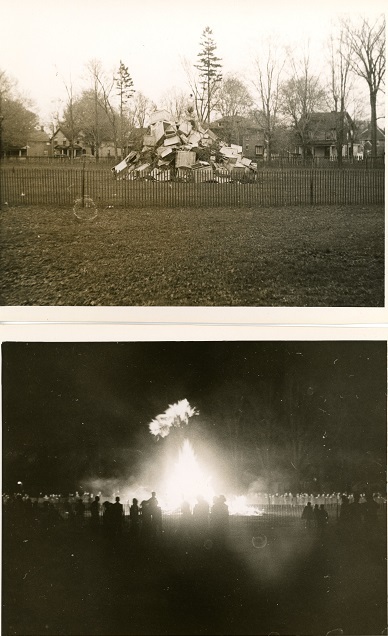 People from all over came to the Park to celebrate and sing around a massive bonfire.